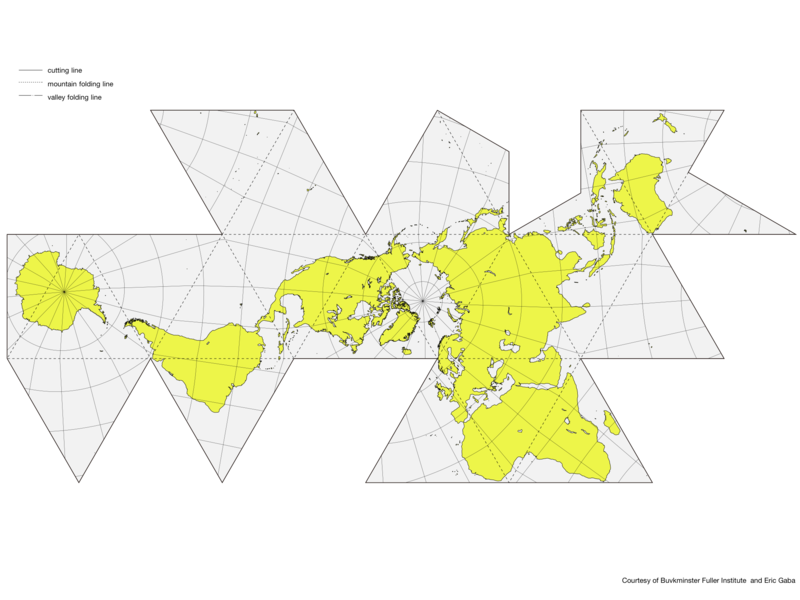 Dymaxion Map is a projection of a world map onto the surface of an icosahedron, a polyhedron with 20 faces. It was invented by Buckminster Fuller and patented in 1946. This allows less distortion of relative size and shape of areas. Fuller intended for the map to be unfolded in different ways. Peeling the triangle one way shows an almost contiguous land while peeling it in a different way shows connected oceans surrounded by land.